VANCOUVER, B.C. Jan. 22, 2017 /Troy Media/ – Baby boomers grew up in a world where the principles of democracy were taught in high school by social studies teachers who became misty eyed describing the Athenian Agora. The great public squares in the Greek city states saw the citizens gather to hear reasoned discourse about issues, presented by heroic logicians and statesmen, who presented all sides of a problem before a vote was called to decide the issue. War against Sparta or not. The construction of the Parthenon or not. Construction of the aqueduct to Thebes or not. No matter the issue, the citizens debated, thought, reconciled, often compromised and cast their votes. Their democratic will ruled. Yes, there were some problematic underpinnings to the process. You had to be male. You had to own real property in the city state. You couldn’t be a slave. You had to be of adult age. But otherwise, the checks and balances worked and the system produced decisions that stood. If there were any challenges on the grounds of candidate illegitimacy, election tampering by foreign state spies or gerrymandering of electoral districts, I don’t recall hearing about them from Mr. Coxwell in Social Studies 10. There was also an effort made to show boomer students that the contemporary newspaper media grew from Greek roots and was based on the citizens’ need to know. Columnists were diligent in their research. The facts underlying the issues were gathered so they could be studied and understood. Issues were delineated and often debated by experts in the media. We were taught that expertise was of high value. By virtue of burning the midnight oil, attending respected institutions of higher learning, and impressing one’s professors with critical and original thought, successive generations of experts were milled from local timber. We also learned that experts behaved with decorum and grace, avoided profanity and spoke naturally in paragraphs that built into chapters. It was natural for the wise citizen to consult expertise before voting. That was how opinions were formed. And then the Internet was born. The boomers were all out of school by the early 1980s when email, search engines and algorithms began their onslaught. In this new environment, citizens could publish their opinions with speed and impunity. You no longer had to speak face-to-face in debate or argument. Now you could hide behind the wall of the Internet. Extreme profanity and coarseness entered public discourse. Perhaps most subversively, algorithms tracked your search and ‘like’ preferences online, and began to suggest other articles, websites and ‘experts’ for your reference and enjoyment. Out of this came the now-famed echo-chamber effect. As soon as you clicked your computer on, you could be assured of a steadily reinforcing diet of like thought. And prejudice. In this evolving new social media, newspapers, their diligent reporter research and the consulting role of experts have all but disappeared. Granted, there are still some big, well-financed and broadly-read papers and magazines (mostly in the United States), but overall the trend is pronounced. Arguably, we are paying a high price for this loss. To start with, simply review the quality of democratic practice evident in the recent U.S. presidential election. Without much fear of contradiction, I think that this election has revealed a deeply coarsened social discourse in America. Expertise has been broadly reviled, doubted and ridiculed. Researched facts, issues and plausible solutions have been replaced by fake news, ad hominem argument and egregious self-promotion. Perhaps most disturbing, the new president of the United States was able to earn electoral college victory in spite of using misogynist, xenophobic and racist rhetoric, mocking the disabled and denying the science underpinning climate change. For some reason, America has veered away from their counsel. In their place, we are being waylaid by a culture that denigrates compromise, treats all opinions as equal in value, enables belittling comment and normalizes anger. These are not promising values for governance or civilization. It’s high time to query their origin and to summon back the better angels. Troy Media columnist Mike Robinson has been CEO of three Canadian NGOs: the Arctic Institute of North America, the Glenbow Museum and the Bill Reid Gallery. 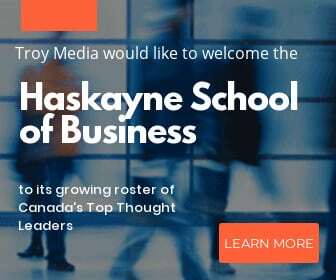 Mike is also included in Troy Media’s Unlimited Access subscription plan. 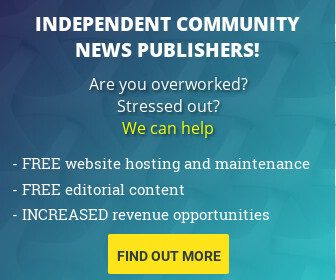 Looking for content for your publication or website? 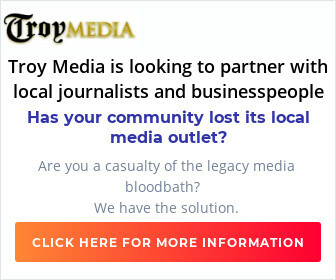 [popup url=”http://marketplace.troymedia.com/join-us/” height=”1000″ width=”1000″ scrollbars=”1″]Become a Troy Media subscriber[/popup].